While the music industry has attracted its fair share of misfits, eccentrics and loners down the years, most fully paid-up members of the rock’n’roll glitterati would probably admit that they were motivated to climb the showbiz ladder believing it would lead to the acquisition of wealth and/or fame. Of course there are exceptions to the unwritten rule – and JJ Cale will always be near the top of that list. As unassuming a singer-songwriter as one could realistically envisage, Cale himself admitted: “I was always a background person… it took me a while to adjust to the fact people were looking at me,” in director Jörg Bundschuh’s 2005 documentary To Tulsa & Back: On Tour With JJ Cale. Yet, despite Cale’s intrinsic modesty and a lifelong desire to spurn the limelight, he still built up an exceptional reputation during his 50-year recording career. A highly talented songwriter, his best-loved tunes, such as ‘Call Me The Breeze’, ‘I Got The Same Old Blues’ and ‘Clyde’, have been covered by superstars including Johnny Cash, Lynyrd Skynyrd and Waylon Jennings, while his laidback, yet incisive guitar style has been cited as a major influence by seminal figures such as Eric Clapton, Mark Knopfler and Neil Young. Indeed, in Shakey, Jimmy McDonough’s 2003 biography of the latter, Young says of Cale: "He’s so sensitive. Of all the players I’ve ever heard, it’s gotta be Hendrix and JJ Cale who are the best electric guitar players." Born John Weldon Cale on 5 December 1938, Cale was raised in Tulsa, Oklahoma, and graduated from Tulsa Central High School, in 1956. Enjoying everything from western swing to jazz and R&B as a youngster, he played guitar regularly in his teens and studied the principles of sound engineering while still living at home with his parents. After graduating from high school, Cale was drafted into military service, studying at the Air Force Institute Of Technology in Champaign, Illinois, but, by the early 60s, he had moved to Los Angeles at the behest of his friend and fellow Tulsa musician Leon Russell, where he found regular work as a studio engineer. Cale had already been writing songs for some years and, while living in LA, he cut three early 45s for the Liberty label, including ‘Outside Lookin’ In’ and the original version of ‘After Midnight’. Though they initially did little to enhance Cale’s embryonic solo career, they did bring him a spot at LA’s famous Whisky A Go Go. During this run of shows, the Whisky’s co-owner, Elmer Valentine (who also recruited The Doors as a regular support act during 1966), reputedly suggested Cale change his name to JJ Cale to avoid confusion with John Cale from The Velvet Underground. For his next shot at stardom, Cale joined an LA-based outfit called The Leathercoated Minds, who recorded the (now highly collectable) 1967 LP, A Trip Down Sunset Strip, featuring covers of psych-pop classics such as The Byrds’ ‘Eight Miles High’ and The Yardbirds’ ‘Over Under Sideways Down’. However, it again failed commercially and Cale accordingly returned to Tulsa. Spending the next few years languishing in obscurity, Cale was unaware that Eric Clapton had been introduced to his music (through husband-and-wife team Delaney & Bonnie) until he heard the version of ‘After Midnight’ that Clapton recorded for his critically hailed self-titled solo LP in 1970. After Clapton popularised ‘After Midnight’, Cale’s friend and producer Audie Ashworth persuaded him to record his own solo debut. Recorded in Nashville with a host of accomplished session men, including Neil Young producer David Briggs, Naturally was issued by Leon Russell’s Shelter imprint in 1972 in the US, and through A&M in the UK. Introducing Cale’s relaxed but incisive guitar playing and distinctive, laconic vocal delivery, Naturally was a laidback, roots’n’country-inflected triumph which included Cale’s biggest US hit single, ‘Crazy Mama’ (No.22 on the US Billboard Hot 100), a re-recording of ‘After Midnight’ and the glorious ‘Magnolia’, which has more recently been covered by artists including Lucinda Williams, Beck and Iron And Wine. Suitably encouraged by the success of Naturally, Cale rapidly cut two further cult-level favourites, 1973’s Really and the following year’s Okie – the latter featuring the high lonesome ‘I Got The Same Old Blues’, which was later covered by Freddie King, Lynyrd Skynyrd and Captain Beefheart. 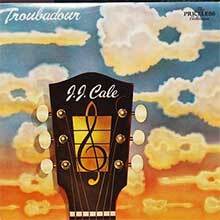 Cale then enjoyed a commercial breakthrough with 1976’s Troubadour, which enjoyed a surge in popularity after Eric Clapton covered its stand-out track, the funky – if cautionary – ‘Cocaine’ on his multi-platinum-selling 1977 LP, Slowhand. Accordingly, Troubadour enjoyed Top 30 success in a number of territories including Austria, Germany and New Zealand (where it peaked at No.2), in addition to earning Cale a silver disc in the UK. Disregarding this spike in his popularity, Cale took his time fashioning a follow-up and transferred to Island in the UK and MCA in the US for 1979’s self-explanatory 5. Though less successful commercially, it was another accomplished record: a sparse, blues-tinged treat featuring contributions from ex-Jimi Hendrix bassist Billy Cox and former Neil Young drummer Kenny Buttrey. Its highlight was arguably Cale’s own version of ‘I’ll Make Love To You Anytime’, already recorded by Eric Clapton for his 1978 LP, Backless. 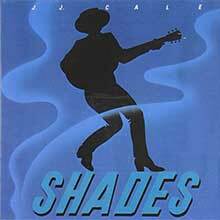 Cale made another high quality LP for MCA, 1981’s Shades (which came housed in a striking sleeve aping a Gitanes cigarette packet), before signing with Mercury in the US and releasing 1982 fan favourite Grasshopper. A smidgen more mainstream-sounding than his hallmark country-rock fare, the LP led off with the relatively poppy ‘City Girls’ and also featured the rolling and tumbling ‘One Step Ahead Of The Blues’ and the sinewy groove of ‘Does Your Mama Like To Reggae?’, the latter co-written with Cale’s wife Christine Lakeland. After 1983’s #8, Cale shunned the spotlight for the remainder of the 80s, yet when he re-emerged, in 1990, he came back touting his most aggressive LP to date in Travel-Log, his first for Silvertone/BMG. The record opened with the funky, horns- and strings-enhanced ‘Shanghai’, and also featured several atypically strident rockers including ‘Hold On Baby’ and ‘No Time’, as well as the expected blues- and country-inflected shuffles such as ‘Lady Luck’. Cale recorded relatively prolifically during the 90s, releasing Number 10 in 1992; 1994’s Closer To You (which featured experimental pieces such as the groovy, mesmeric instrumental ‘Steve’s Song’ and the electronically treated titular song) and ’96’s accomplished Guitar Man, on which the versatile Cale played virtually all the instruments himself. Another eight-year hiatus ensued before Cale next appeared on record with 2004’s To Tulsa And Back, issued by influential jazz label Blue Note. Arguably one of Cale’s strongest-ever sets, it found his regular dusty country-blues stylings augmented by keyboards, drum machines and horns, yet it worked perfectly, with tracks such as the gorgeous ballad ‘Blues For Mama’, the nomadic, jazz-inflected ‘These Blues’ and the ghostly, stripped-back Appalachian folk-blues of ‘Another Song’ all ranking among the best in Cale’s canon. To Tulsa And Back reacquainted Cale with the charts, featuring in Top 100 run-downs in six European territories, including Belgium, Greece and Germany. To coincide with the album’s release, Eric Clapton invited Cale and his touring band to play at his prestigious, three-day Crossroads Festival in Dallas, Texas, footage of which appeared on the 2005 DVD To Tulsa And Back: On Tour With JJ Cale. While in Dallas, Clapton approached Cale to suggest he produce an album – an offer Cale gladly accepted. Eventually co-produced by the pair, 2006’s The Road To Escondido was billed as a Cale-Clapton collaboration, though most of the songs – save for ‘Hard To Thrill’, Clapton’s ‘Three Little Girls’ and a louche cover of Brownie McGhee’s ‘Sporting Life Blues’ – were penned solely by Cale. The LP itself featured a host of cameos from high-profile contributors including drummer Steve Jordan, guitarist Albert Lee and piano and Hammond organ from Billy Preston, who sadly passed away shortly after the sessions. Soulful, mellow and beautifully crafted, The Road To Escondido met with considerable mainstream success, charting at No.23 on the US Billboard Top 200 (earning a gold disc in the process), achieving silver certification in the UK and broaching Top 10s worldwide. It went on to earn a platinum disc for combined European sales and won a Grammy Award for Best Contemporary Blues Album in 2008. The following year, he released Roll On. Though the album’s titular song featured another Clapton cameo, much of the record was pieced together by Cale himself (playing bass, drums and Fender Rhodes piano as well as his trademark chooglin’ guitars), but it again featured a clutch of outstanding tracks including the swampy boogie of ‘Strange Days’, the unlikely, B-Movie-esque atmospherics of ‘Fonda-Lina’ and the classic, jazz-imbued shuffle of the opening ‘Who Knew?’, which even featured a scatted vocal line from Cale. Released through highly respected US independent imprint Rounder, Roll On again performed well commercially, climbing to No.113 on the US Billboard 200 and reaching the Top 40 in a number of European territories including France, Germany and the Netherlands. 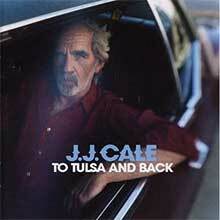 Cale’s career appeared to have taken on a fresh lease of life after To Tulsa And Back. Sadly, however, Roll On proved to be his swansong, as he passed away from natural causes on 26 July 2013. 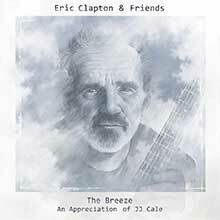 Leading the tributes, Rolling Stone stated that Cale’s “influence is immeasurable” and – to mark the first anniversary of his death – Eric Clapton and co-producer Simon Climie released The Breeze: An Appreciation Of JJ Cale through the Surfdog imprint. Featuring new versions of 15 of Cale’s best-loved tracks, recorded with contributions from a star-studded line-up including Tom Petty, Mark Knopfler, Albert Lee and, inevitably, Eric Clapton, the album was both a fitting tribute to Cale’s memory but also a commercial smash, shooting to No.2 on the US Billboard 200 and going gold and/or platinum in territories as disparate as Russia, Denmark and Turkey. During his lifetime, Cale largely declined awards, though, in November 2014, his family did posthumously agree to have him inducted to the Oklahoma Music Hall Of Fame. This accolade was surely a timely and respectful vindication for this most reluctant of stars, whose subtle, understated body of work will live on to inspire discerning blues and Americana fans for generations to come. 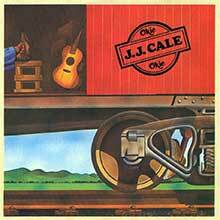 J.J. Cale's debut album, Naturally, was recorded after Eric Clapton made "After Midnight" a huge success. Instead of following Slowhand's cue and constructing a slick blues-rock album, Cale recruited a number of his Oklahoma friends and made a laid-back country-rock record that firmly established his distinctive, relaxed style. Cale included a new version of "After Midnight" on the album, but the true meat of the record lay in songs like "Crazy Mama," which became a hit single, and "Call Me the Breeze," which Lynyrd Skynyrd later covered. On these songs and many others on Naturally, Cale effortlessly captured a lazy, rolling boogie that contradicted all the commercial styles of boogie, blues, and country-rock at the time. Where his contemporaries concentrated on solos, Cale worked the song and its rhythm, and the result was a pleasant, engaging album that was in no danger of raising anybody's temperature. J.J. Cale's guitar work manages to be both understated and intense here. The same is true of his seemingly offhand singing, which finds him drawling lines like "You get your gun, I'll get mine" with disarming casualness. Producer Audie Ashworth introduced some different instruments, notably vibes and what sound like horns (although none are credited), for a slightly altered sound on Troubadour. 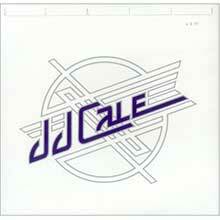 But J.J. Cale's albums are so steeped in his introspective style that they become interchangeable. If you like one of them, chances are you'll want to have them all. This one is notable for introducing "Cocaine," which Eric Clapton covered on his Slowhand album a year later. On his first studio outing in eight years, the mythical Okie troubadour turns in a solid set of his trademark dusty blues tunes. What is not so typical, as with Travel Log from 1990, is that Cale steeps himself in technology and evokes the moods and frameworks of music that intersect with the blues or stand in opposition to them. The keyboards, drum loops, and horns on this record are as pervasive as the guitars. Needless to say, this requires an attitude adjustment on the part of the listener. This is not to say there aren't plenty of live musicians here; there are. It's just that the sheeny beats and clean synth lines feel odd when juxtaposed against the murky lyrics and Cale's wispy, smoke-weathered voice. His stinging Stratocaster lead lines, spare and razor taut -- especially when ringed with distortion -- are plentiful, as are his tight-knit song constructions. Standouts on this set include the new West funk of "New Lover," the shuffling "New Step," the skittering "The Problem," the delightfully rambling "Fancy Dancer," the burning road-dog rock of "Motormouth," and the jazzy, gypsy swing in "These Blues." There are a couple of ballads on the set that are unconventional, as well, in "Homeless," and in the beautiful "Blues for Mama." There is even a Latin track on "Rio" that feels more like a merengue than a samba. The album closes with Cale playing a lone banjo on "Another Song," a mournful Appalachian ballad that feels like it comes from out of the heart of the Dust Bowl, it's full of ghosts and shadows and aches with the weight and displacement of longing as history. A fine effort. Cale moves toward country and gospel on some songs here, but since those are two of his primary influences, the movement is slight. And longtime producer Audie Ashworth attempts to place more emphasis on Cale's vocals on some songs by double-tracking them and pushing them up in the mix. But much of this is still low-key and bluesy in what was becoming Cale's patented style. 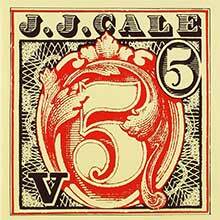 From 1981, this was J.J. Cale's sixth album (following the succinctly titled NUMBER 5, and returning to his tradition of single-word album titles). Though Cale didn't use one constant band throughout the album, it's got a remarkably unified feeling. This is in part due to the great musicians on hand (pianist Bill Payne, drummers Jim Keltner and Russ Kunkel, and guitarist James Burton among others), but primarily to Cale himself. His songs and his overal approach to music are all-encompassing; the seductive and laid-back grooves his rhythm sections empower are written into the very fabric of the songs. "Carry On," "Pack My Jack"--these are songs of simple, sturdy strengths, succinctly written and concisely rendered. There are never any stray notes or decorative filigrees. Friendly and inviting, SHADES sounds good in any season and at any time of day (and may be some of the best hangover cure music around). 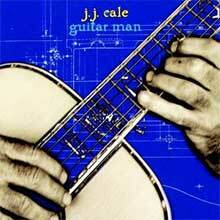 J.J. Cale's albums usually sound interchangeable, and his 12th release, Guitar Man, is no exception. Although he has recorded Guitar Man as a one-man band effort, it sounds remarkably relaxed and laid-back, like it was made with a seasoned bar band. That doesn't mean there's much excitement on the album, but Cale's music has never been about excitement -- it's more about laying back and letting the music flow. 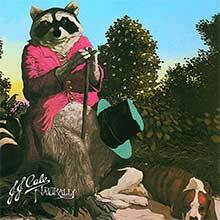 On the two albums that preceded Closer To You, Travel Log and Number 10, J.J. Cale adopted a more basic musical approach. This album continues the trend. Cale plays a few songs alone (though the overdubbed parts sound remarkably spare), including the title track. "Closer to You" finds him electronically treating his vocals, a technique that surprisingly makes him sound as down-to-earth as ever. The set ends with the hypnotically grooving instrumental "Steve's Song." The set is bolstered by two bass players (electric and acoustic), three percussionists (including Jim Keltner), three guitarists (including Cale), two keyboardists (Spooner Oldham and Bill Payne), and three horn players. 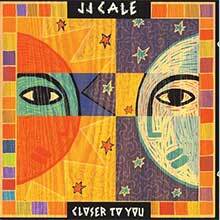 With the dazzling Closer To You, J.J. Cale finds ever-newer surprises in his own remarkable corner of the musical world. In a sense, nearly every album Eric Clapton recorded after 1970 has been a tribute to J.J. Cale. On that first solo album, Clapton cut a cover of Cale's "After Midnight" and while he was under the spell of Delaney Bramlett for that album, soon enough Slowhand began drifting toward the laconic shuffle that was Cale's stock in trade. Clapton never hesitated to credit Cale, dropping his name in interviews, turning "Cocaine" into a modern standard, even going so far as to record an entire duet album with the Oklahoma troubadour called The Road to Escondido in 2006. In other words, E.C. owed J.J. little but after Cale passed at the age of 74, the guitarist decided to pay a full-scale tribute in the form of the 2014 LP The Breeze: An Appreciation of J.J. Cale. Working with most of his regular band, Clapton also invited a host of friends who share a soft spot for Cale, including Tom Petty, Mark Knopfler, John Mayer, Willie Nelson, and the Oklahoma-based singer Don White, whose vocals are within the range of the departed Cale. All of these musicians don't distract from E.C. 's version of J.J.: everybody slides into an exceedingly laid-back, pristine roots groove, one that barely rises above a steady simmer -- only "I'll Be There (If You Ever Want Me)" boogies, but "Cajun Moon" skips along, too -- and one that's executed with the precision of old pros. Occasionally, a personal stylistic quirk stamps a track with a signature -- there's no mistaking Willie's idiosyncratic phrasing or Knopfler's Strat -- but otherwise, everybody is operating at the same relaxed pace, differences between the musicians disappearing alongside the distinctions between songs.